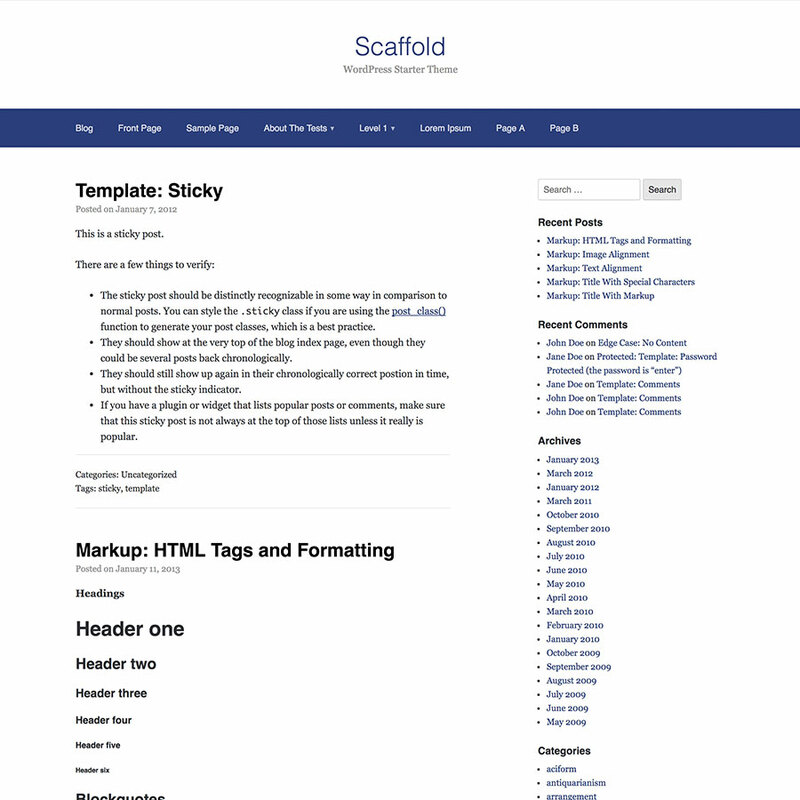 Scaffold is a lightweight starter theme built using core WordPress functions. It doesn’t use any frameworks or libraries, this makes it fast, simple and easy to customize! Scaffold can be used as a framework for your next project, or you can extend is using a child-theme.